Chocolate and Ophicleide, Advertising Pair? Added the below image to the blog post, Serpent & Ophicleide: History and Images. 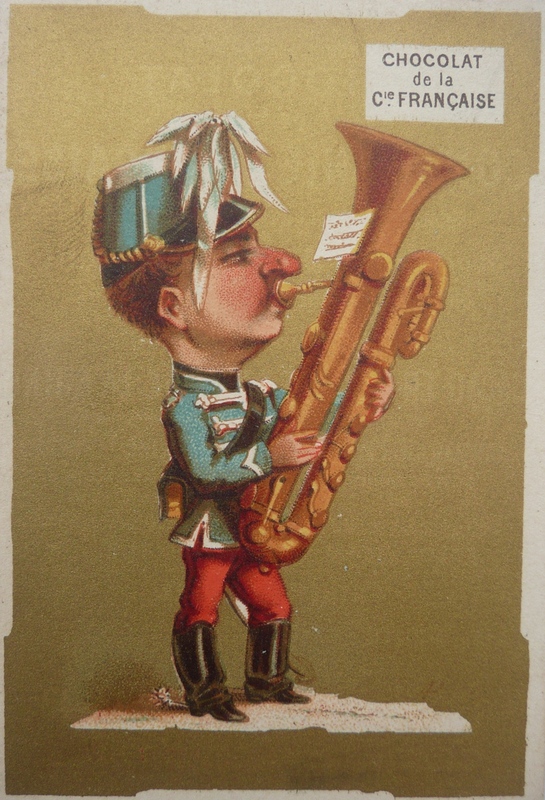 c. 1900—A French chocolate advertisement depicts a soldier playing ophicleide (see below image; public domain).